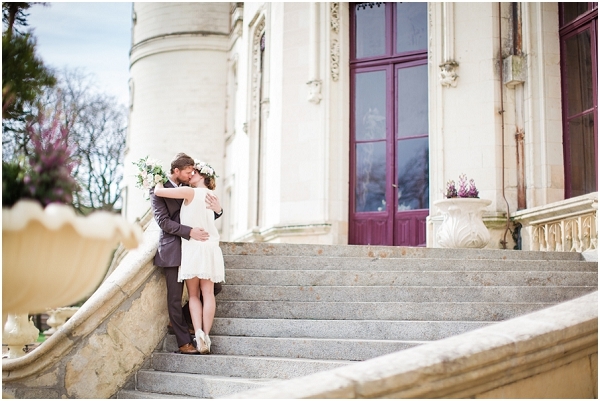 I feel like I have been waiting a long time for today, the chance to finally share on the blog one of the first shoots from #teamamour – A French Bohemian Elopement. 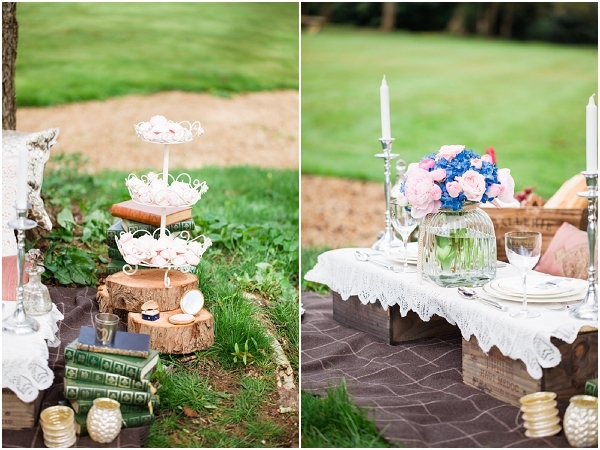 Avid readers of the blog will know that at the start of the year I set myself a challenge to organise my first styled shoot, something that I have been wanting to do for a long time. 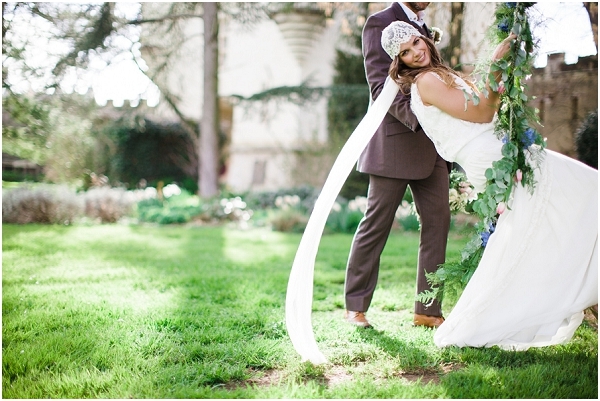 I contacted a dream team of fabulous wedding suppliers to join me on this adventure and TeamAmour was born! 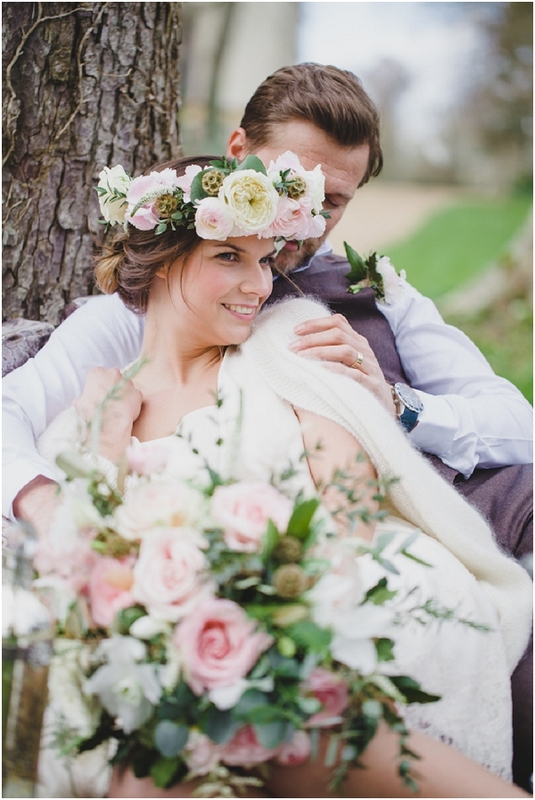 You can read all about the creative talent behind TeamAmour here, but for now I would just like to say once again a huge thank you to the fabulous talented team who helped to bring this vision to reality and create a beautiful shoot, full of inspiration and wedding trends, all artistically captured by Cat Hepple Fine Art Wedding Photography. 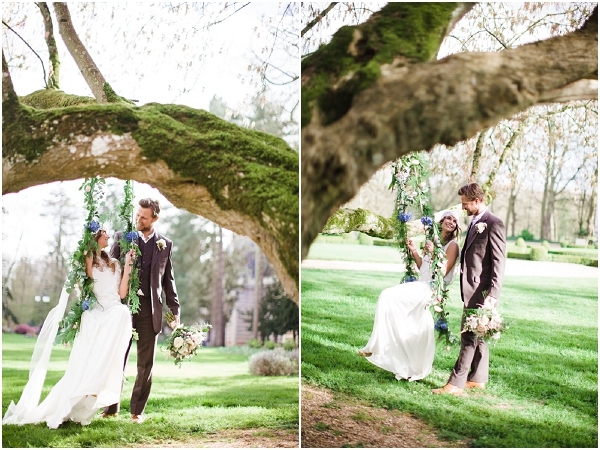 This shoot is the first of three that we shot over 2 days (a crazy busy couple of days) that I am showcasing on the blog, so be sure to check back for more over the coming weeks for more TeamAmour photo shoots. 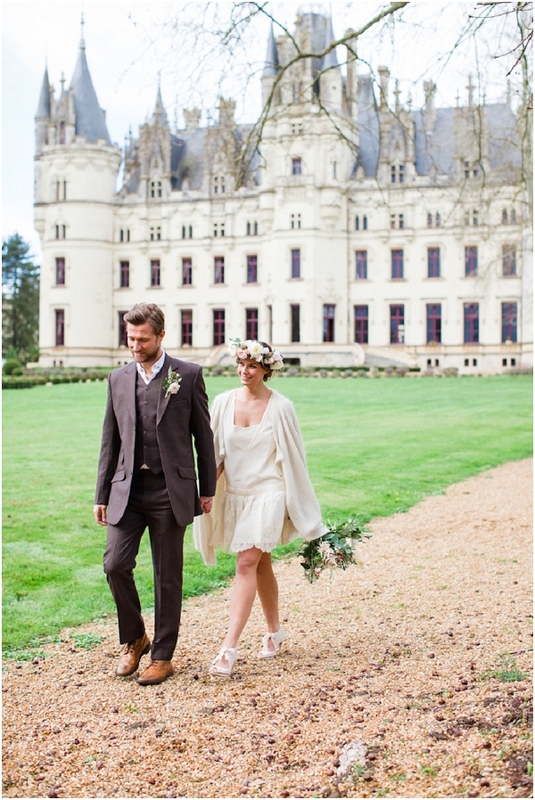 The first shoot is entitled French Bohemian Elopement and I wanted you to come with me on a romantic adventure deep into the beautiful Loire Valley to the stunning Chateau Challain. 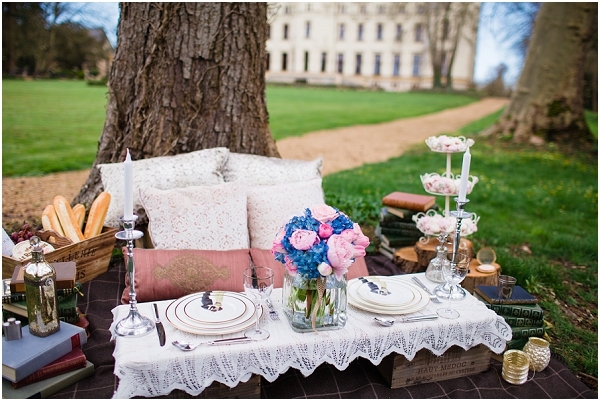 The scene is set for our newlywed couple, who have eloped, to celebrate their day in the Chateau’s estate, complete with romantic bridges, picturesque streams and idyllic countryside. 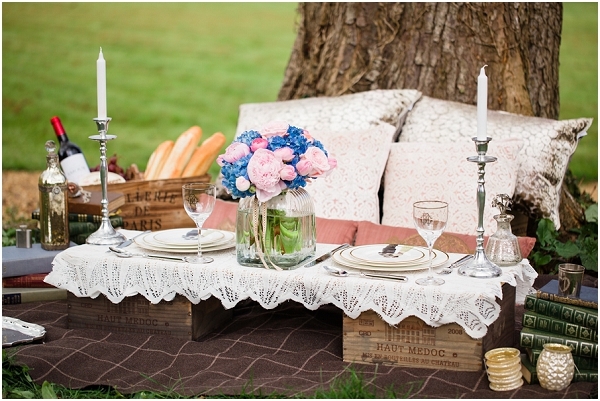 Our couple celebrate their wedding at a romantic outdoor sweetheart table, two rustic wine crates covered in vintage lace and adorned with exquisite kissing plates and romantic blooms. 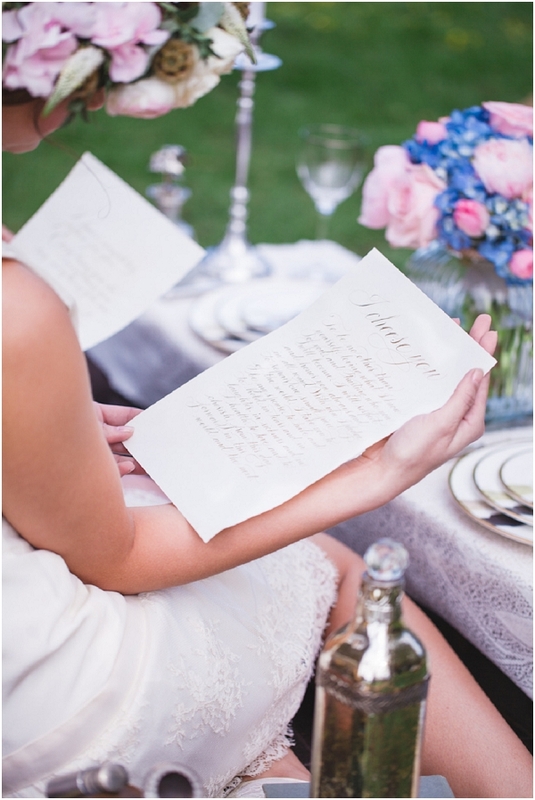 Nestled into their intimate reception setting, the couple read decorative love poems by Calligraphy for Weddings, before relaxing for an afternoon of sumptuous French wine and food. 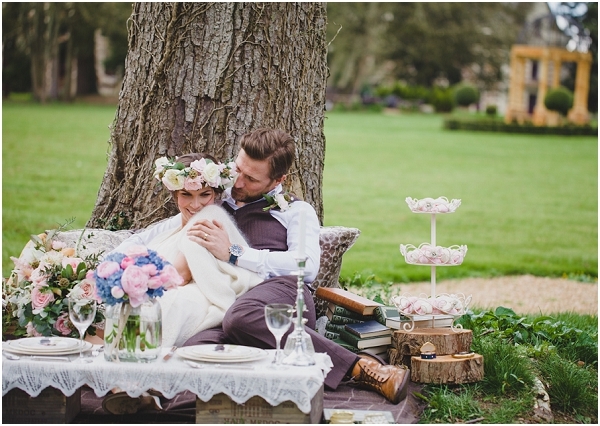 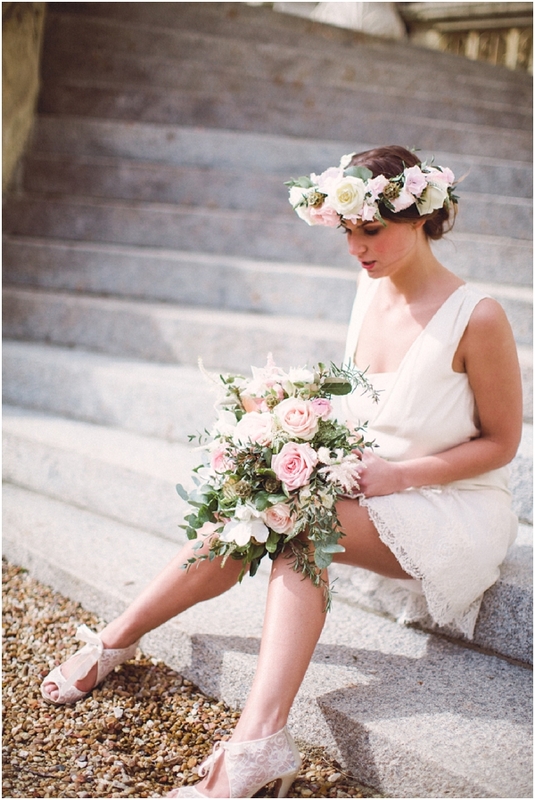 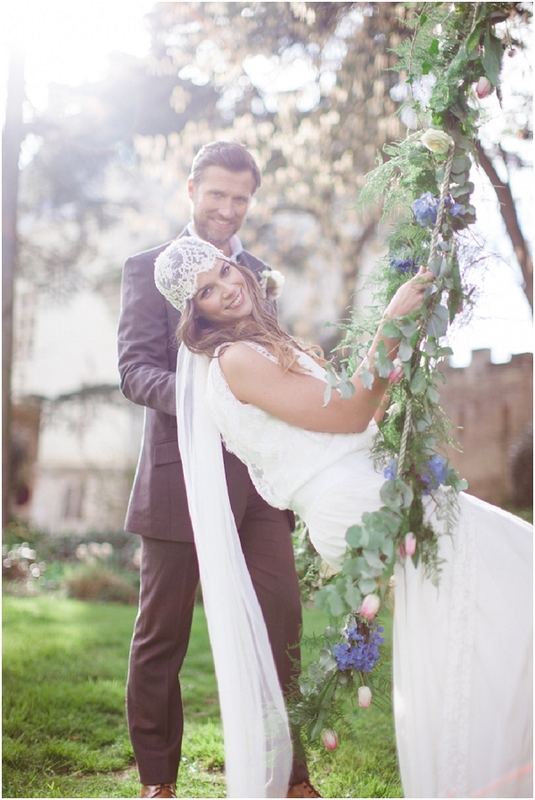 For our shoot the bride wears a Laure de Sagazan short bohemian wedding dress available at The Mews, oversize floral crown by French Flower Style and lace booties by Harriet Wilde. 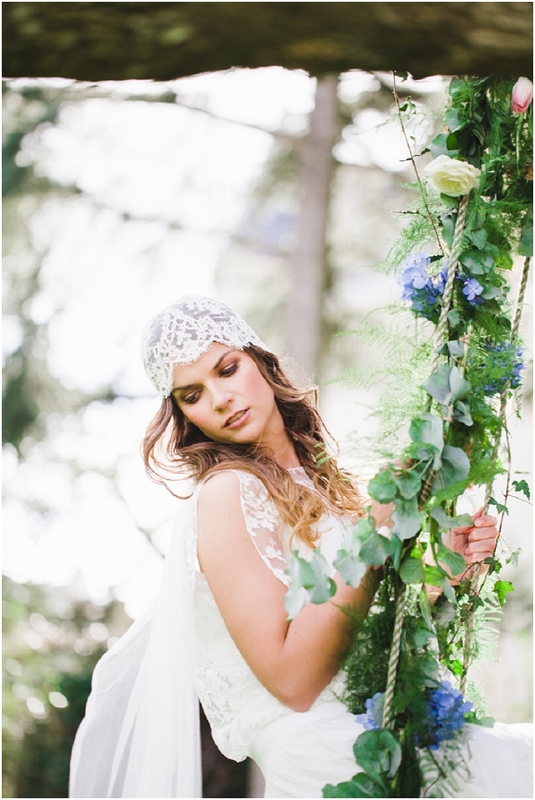 The bride’s bohemian look was crafted by Victoria Farr and she shares her tutorial of how to achieve this, exclusive for French Wedding Style readers. 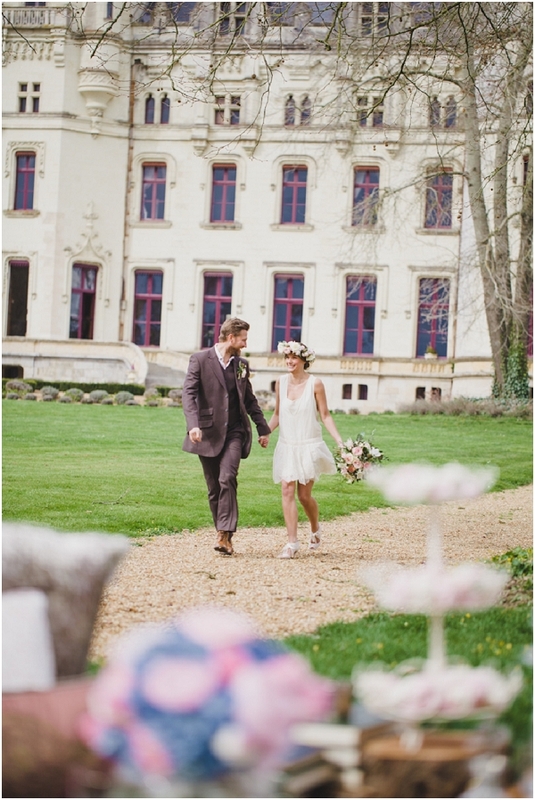 Adventuring into the grounds of the Chateau, the brides wears an open back lace wedding dress as from The Mews, with complimenting lace bridal cap by Rhapsodie Paris. 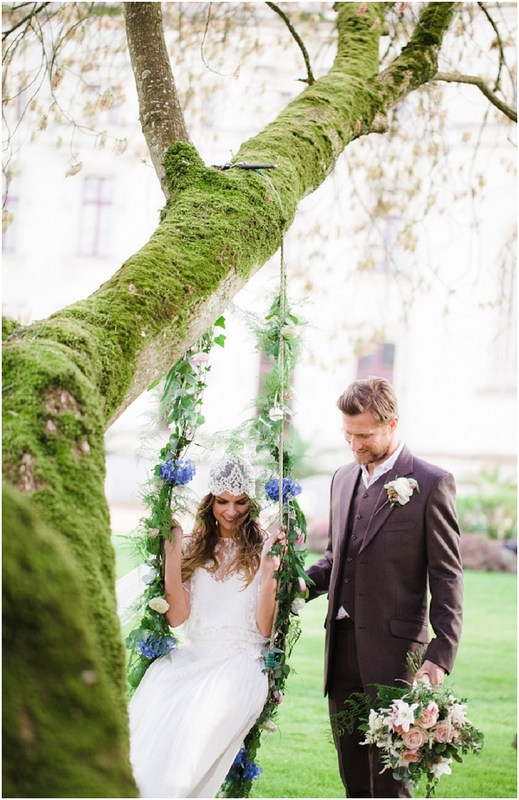 The couple while away the afternoon on a hand decorated floral swing, hanging from the branches of an ancient tree in front of the gothic chateau. 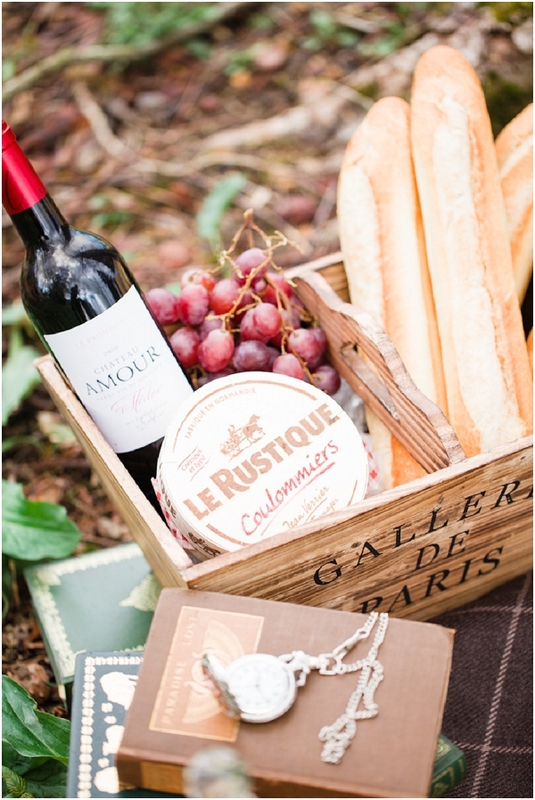 Be sure to fall in love with the Loire Valley and relive this romantic adventure with a beautiful film by Story of Your Day and fall in love with a wedding in France. 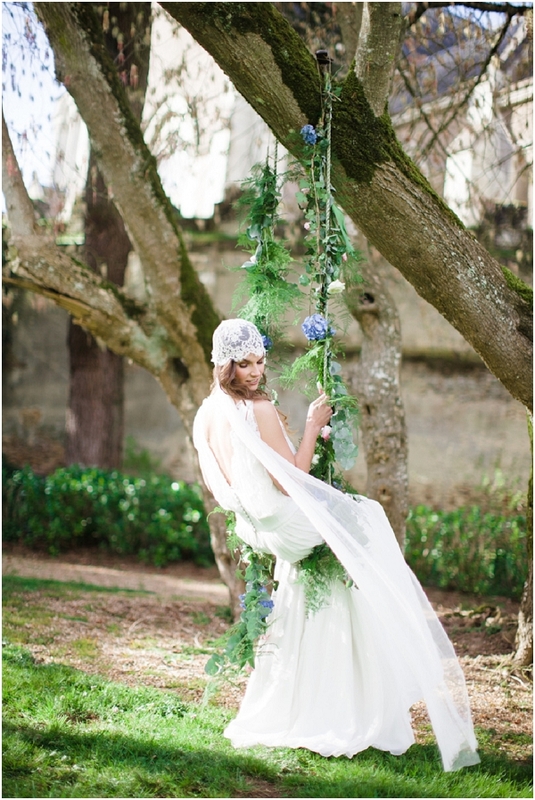 Don’t forget to check back soon to see more of the first TeamAmour shoot! 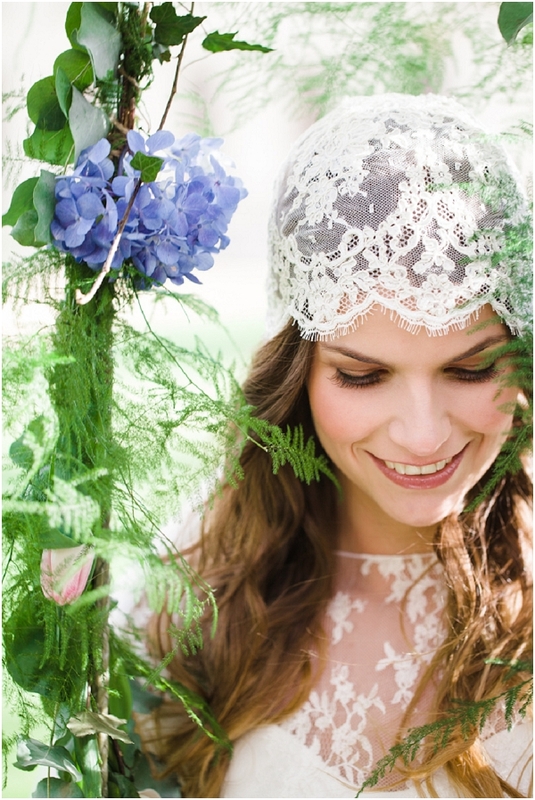 I hope that you love this shoot as much as the team are proud of it. 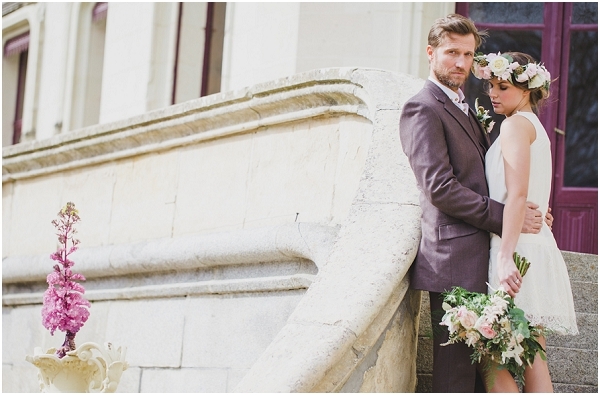 Bridal gowns: Laure de Sagazan and Rime Arodaky supplied by The Mews in Notting Hill | Bridal Cardigan: Delphine Manivet supplied by The Mews in Notting Hill | Bridal Shoes: Harriet Wilde | Headpieces: Rhapsodie Paris | Venue: Chateau Challain | Calligraphy: Calligraphy for Weddings | Props and tableware: Amara | Suit: A Suit that Fits | Models: Matt Bates of Model Experience and Kelly Marston. 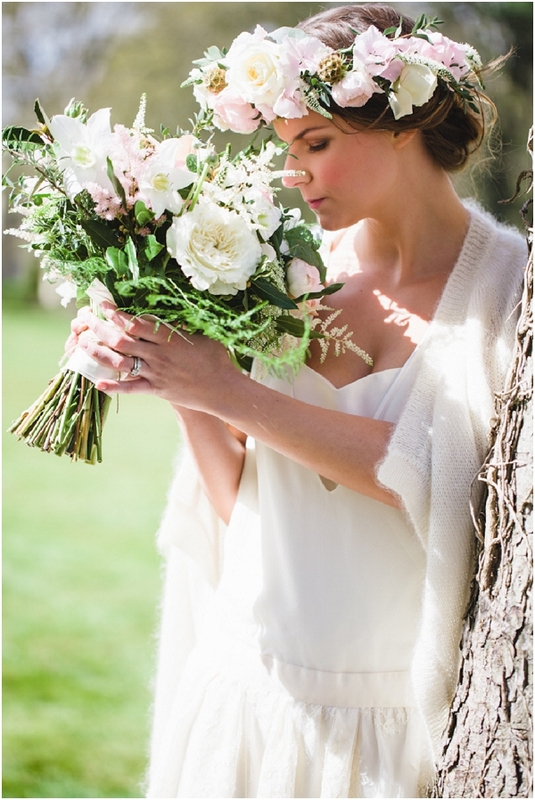 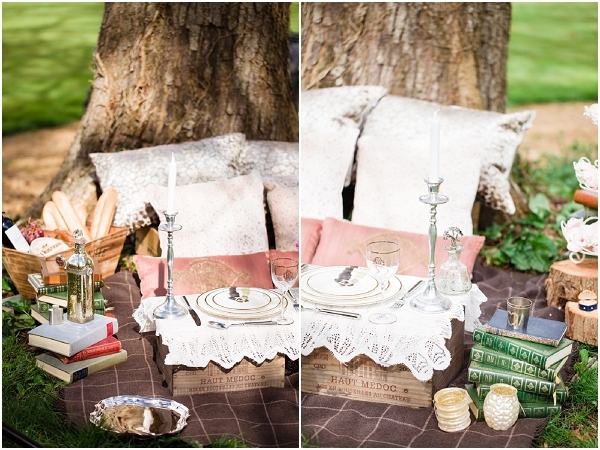 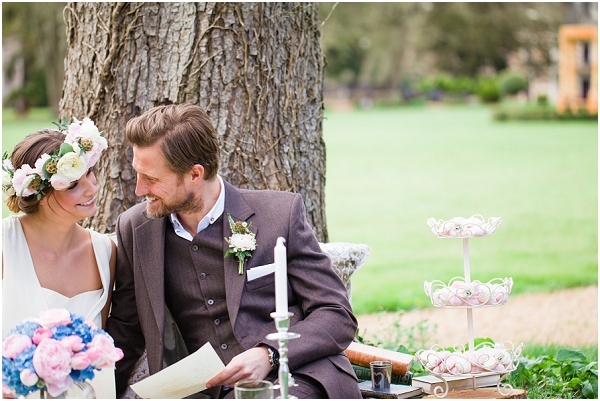 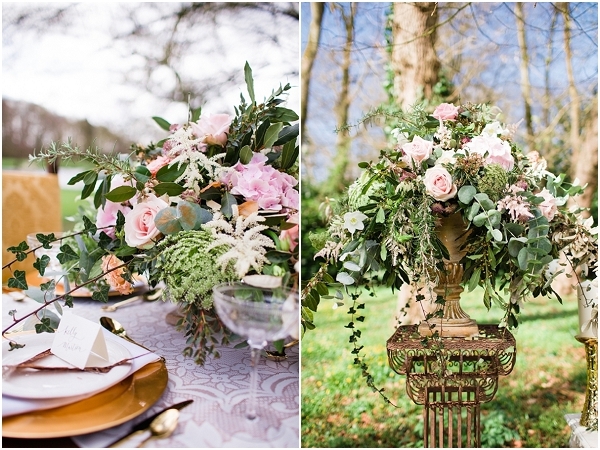 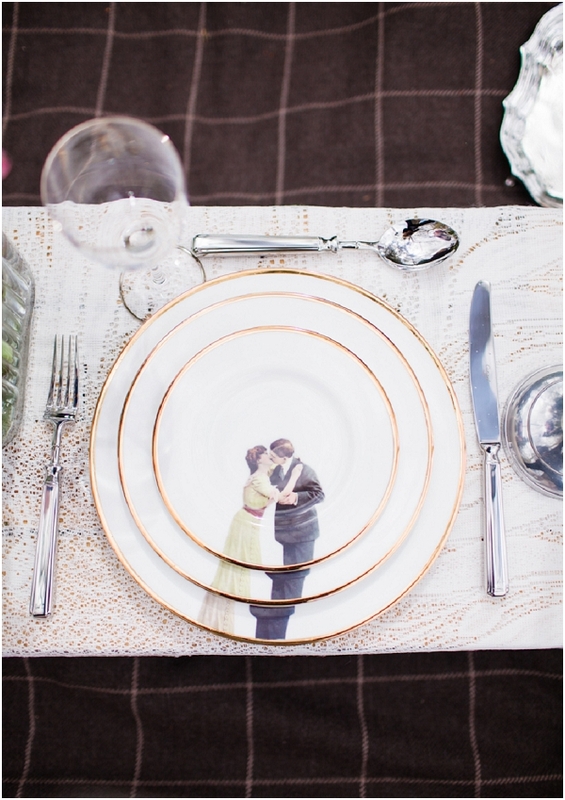 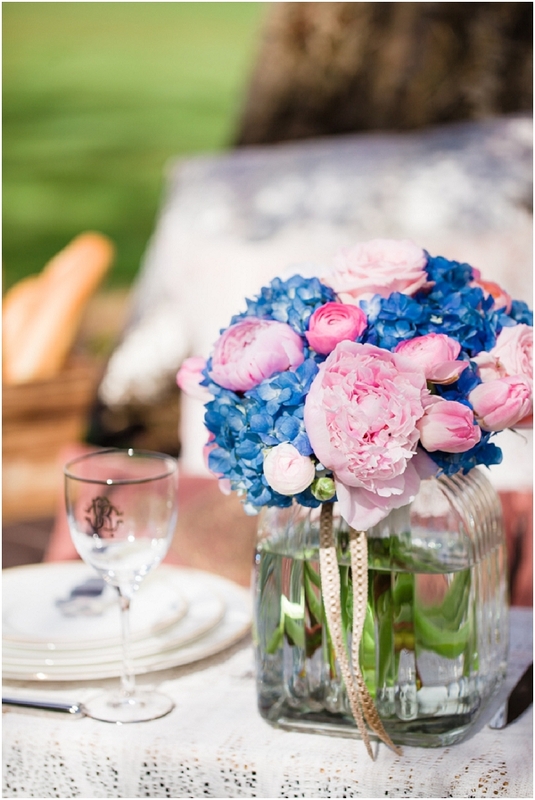 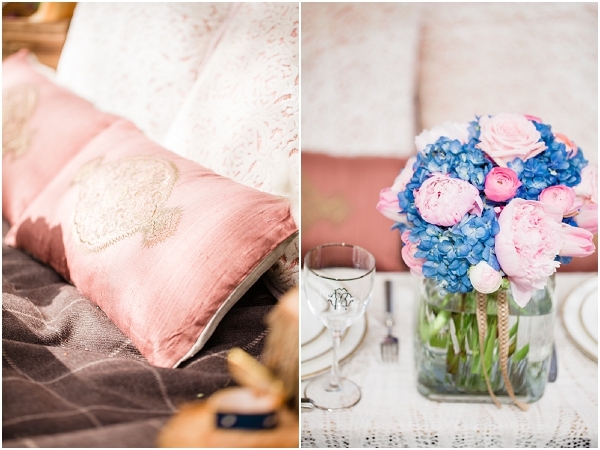 This whole shoot is oh-so-charming and romantic!